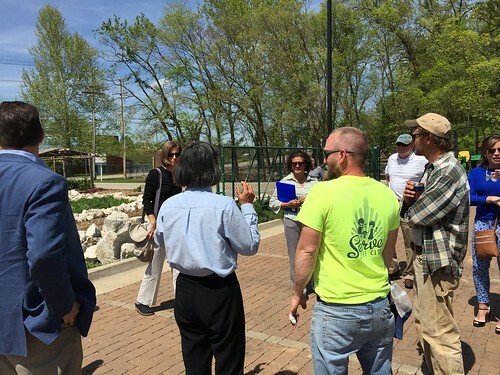 In Jefferson City, Missouri, federal local food experts met with community leaders to determine a successful site for a new farmers market. This partnership was made possible by Local Foods, Local Places which helps communities integrate local food enterprises into their economic plans. At USDA, we understand the enormous market potential of local food. Industry estimates suggest that local food sales in America have nearly doubled in recent years, jumping from $5 billion in 2008 to $11.7 billion in 2014. We’ve invested more than $800 million in 29,100 local and regional food businesses and infrastructure projects over the past six years to help farmers, ranchers and rural businesses tap into that market. Indeed, local food is a national phenomenon that has significant impact on every state’s economy. But local food is not only a business opportunity for agriculture, it can also be a development tool that allows communities to maximize the impact of what is grown and made locally. Local food projects can help grow local food economies and drive downtown and neighborhood revitalization, which is what the Administration’s Local Foods, Local Places initiative is all about. And this year, the initiative is particularly focused on ensuring that kids and families in need have an opportunity to benefit from the development of local food systems. This initiative is part of the White House Rural Council’s “Rural Impact” effort to improve quality of life and upward mobility for kids and families in rural and tribal communities. Local Foods, Local Places supports rural and urban communities in their development of local resources into profitable, job-creating businesses and centers for local food activity by providing guidance and technical expertise. Local Foods, Local Places brings the tools, skills and expertise of six different government agencies -- the USDA, the Environmental Protection Agency (EPA), the Appalachian Regional Commission (ARC), the Centers for Disease Control (CDC), the Delta Region Authority (DRA) and the Department of Transportation (DoT) – directly to neighborhoods planning their future. Local Foods, Local Places is now open for 2015 and communities are encouraged to apply. Last year, Local Foods, Local Places worked with 26 small towns and urban centers across the country to integrate local food into their economic development strategies. For example, in North Little Rock, Arkansas (population 62,000), the Arkansas Regional Innovation Hub is developing an economic action plan to create a new food hub, strengthen the regional food bank system, and revitalize an emerging neighborhood. And community leaders in Wheeling, West Virginia (pop 28,000) are revitalizing an underused lot into a community orchard, retrofitting a historic building into multi-use food facility, and establishing a mobile market. The Churchill Economic Development Authority in Fallon, Nevada (pop 8,400) is organizing stakeholders to convert an abandoned downtown building into community owned grocery store. To learn more about how USDA has invested in local foods and other businesses in your state, check out the series of state factsheets released today at www.usda.gov/opportunities. 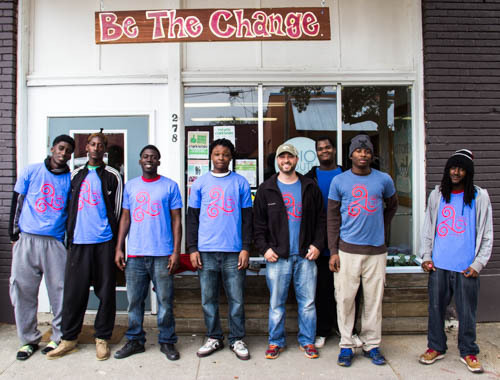 Through Local Foods, Local Places, community leaders in Clarksdale, Mississippi started offering job training services for farmers and other food entrepreneurs. Federal experts also worked with community leaders to establish community gardens which will source fresh produce for local retail. @Lester Sorgen - USDA’s <a href="http://www.usda.gov/wps/portal/usda/usdamedia?navid=kyf-compass-map&quot; rel="nofollow">Know Your Farmer, Know Your Food (KYF2) Compass Map</a> is a great source to find food hubs, Coops, farmers markets, meat processors and other food system related investments across the U.S. The <a href="http://www.usda.gov/knowyourfarmer&quot; rel="nofollow">KYF2 website</a> compiles grant and loan opportunities for people involved in local food, and may have some resources you'd be interested in applying for. USDA’s <a href="http://www.usdalocalfooddirectories.com&quot; rel="nofollow">Local Food Directories</a> can also help you locate farmers, CSAs, food hubs and more near you. Another great resource is <a href="http://www.foodmarketmaker.com&quot; rel="nofollow">Market Maker</a>, a partnership of Land Grant Universities, Departments of Agriculture and food and agricultural organizations investing in a coordinated effort to build a virtual infrastructure that brings healthier, fresher, and more flavorful food to the average consumer. We hope these resources will help you!